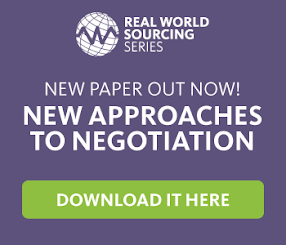 Strategic Sourcing: Implementing a New Major IT System – How do Difficulties Arise? Implementing a New Major IT System – How do Difficulties Arise? Last week we looked at Category Management, what is actually is, its benefits and how to ensure a successful programme, this week we will be looking at the difficulties involved in implementing a major new software system and how those difficulties can best be over come. In this first post we’ll start with an introduction on how these difficulties may arise. Attempting to resolve the paradox of escalating the complexity of high technology demands of modern business environments and addressing the ever-lasting quest for responsiveness and efficiency can only be attempted through technology, namely information technology (IT). Enterprise Resource Planning (ERP)’s are IT solutions that brought the concept of integrated supply network to life, linking customer’s focus drivers, supplier demand tuning and internal business processes into a unified platform enables flawless information cross-exchange across the entire value chain. Concurrently, the ERP technology in itself is a very complex system to design, customize and implement. Thus to resolve the complexity and precision required for businesses to survive, the only tool would be an equally complex and precise IT system, creating more of an opportunity for difficulties to arise. Due to information systems’ complexity and resource constraints, implementation of ERP systems does not always add value and help organizations prosper, on the contrary, ERP can have a destructive role if mismanaged, many dreading examples of companies going bankrupt is dominating the ERP literature, but on the other hands many ERP success stories are also factually evident. Chopra and Meindl argued that the failure in implementing any information system, are either primarily due to incompatibilities between newly acquired ERP systems and the operational processes which leads to integration glitches, or secondary due to full reliance on ERP technology that may result in operations stopover in case of a system malfunction or operation freeze in case of system inflexibility to adopt any necessary future process upgrades.